There is something special about 2-stoke engines. The fact that they started small, and grew slowly bigger. How they took over the starting grid and then the podium at the Grand Prix level. Then they just disappeared. A flash in the pan that is motorcycling. 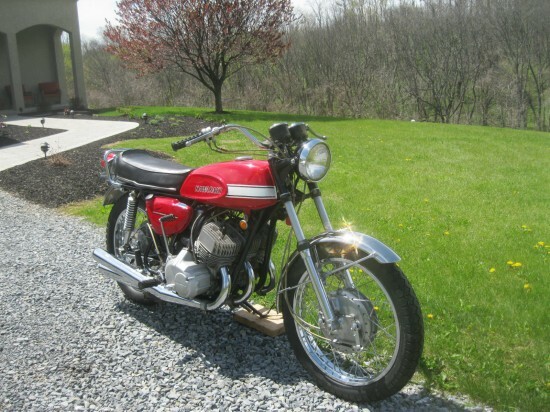 This 1970 Kawasaki H1 500cc is an early example of that rise to glory, and it may have sat because of some of the inherent dangers that a 2-stokes present. Here’s something you don’t see everyday. 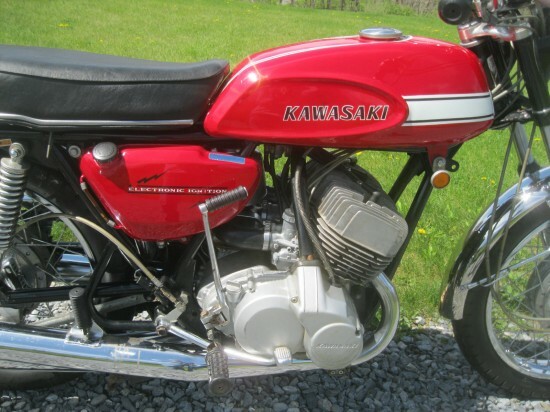 An all original 1970 Kawasaki H1 with only 2112 miles. 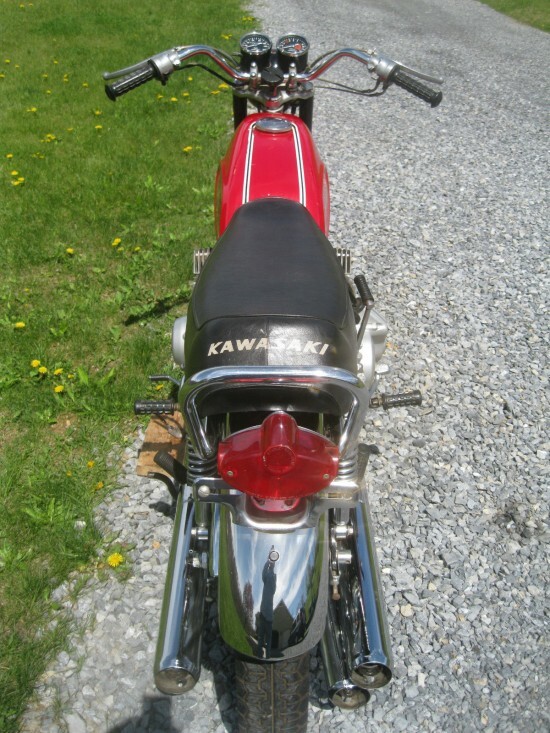 I bought this Kawasaki from the original owner. 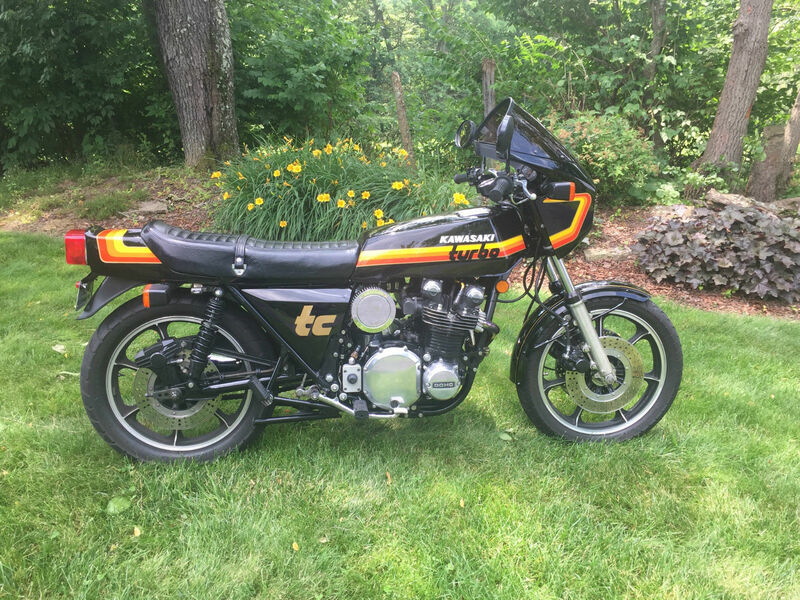 He had stopped riding it in 1974 and it just sat in his garage covered until I bought it in 1995. I completely went over the entire motorcycle. When I had the pipes off for cleaning I inspected the cylinders and they were like new. 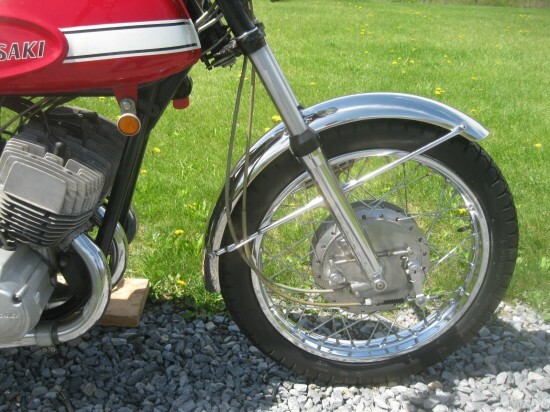 I also had the side case off to free the clutch plates and the inside looked great with no sludge. I cleaned and rebuilt the carbs, changed all the fluids and spark plugs, rebuilt the petcock, cleaned the fuel tank, and installed a battery. I rode it for about 40 miles to make sure everything worked properly and then removed the battery and completely drained the fuel, including the carbs, and it has been in my collection ever since. 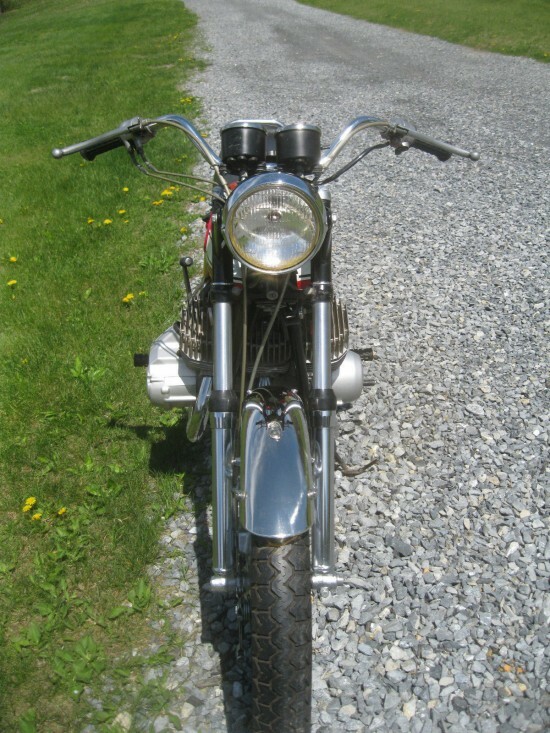 This H1 is in excellent condition with very nice paint, beautiful chrome and a perfect seat. Nothing on this bike has been touched up or painted. There are some scratches on the tank, and one small ding on the right side that is hard to see, also a small area of discoloration on one pipe from an acid stain. The tires are the original Dunlop Gold Seal K77 on the front and Dunlop Gold Seal K87 on the rear with NO checking or cracks. I have the original title, the Temporary Registration Certificate from when it was purchased on 6/25/70, the plastic Kawasaki Service Kard, the original license plate with the 1974 registration sticker on it, and the Sales Tax Certificate. 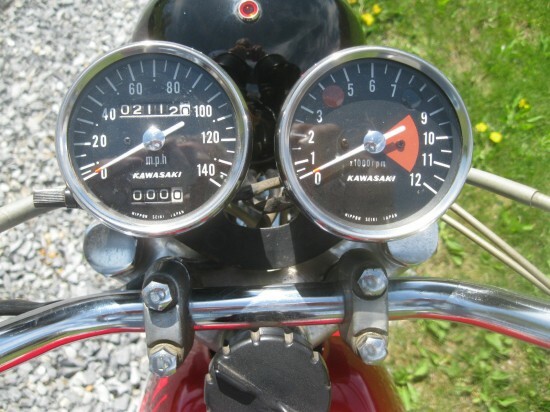 This Kawasaki has the original matching engine and frame, and the numbers are correct. Can someone explain Kawasaki numbering to me? I know that some manufactures number different parts of the bike differently, and there is a magic ratio, or specific gap between engine and frame, but this seems random. I think this Mach III is going to bring a pretty penny. Nice original bike with the good patina. I was concerned about the crankshaft seals but if the seller rode it for 40 miles and the engine didn’t seize up, maybe they are O.K. I also don’t like the “widow maker” reference, also “crotch rocket”, and referring to Steve McQueen when selling a motorcycle like one he supposably owned or rode.